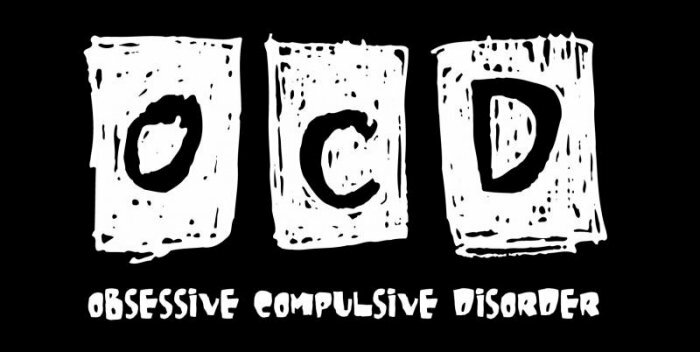 Obsessive compulsive disorder (OCD) is a common form of anxiety disorder involving distressing, repetitive thoughts. That makes OCD particularly difficult to make sense of or to explain to other people. Obsessions are distressing or frightening repetitive thoughts which come into your mind automatically, however irrational they may seem and however much you try to resist or ignore them.Some people describe these thoughts as being like a ‘stuck record’, but trying to stop them can make them worse. Compulsions are actions which people feel they must repeat to feel less anxious or stop their obsessive thoughts. For example, some people cannot stop thinking about germs and the diseases they could catch. To cope with this anxiety, they may start washing their hands over and over again. Other compulsive rituals may have no connection to the nature of the obsessive thoughts. need for symmetry or exactness. Compulsions commonly involve checking, cleaning, counting or dressing rituals. Carrying out a ritual usually gives people temporary relief from their anxiety. At other times, they can be full of doubt that they have carried out the ritual properly and so repeat the ritual to ‘get it right’ – a process that can go on for hours. Most of us have worries, doubts and superstitious beliefs. It is only when your thoughts and behaviour make no sense to other people, cause distress or become excessive that you may want to ask for help. OCD can occur at any stage of your life. If you experience OCD you may also feel anxious and depressed and you may believe you are the only one with obsessive thoughts. It can take people many years to seek professional help. People may be aware that their rituals are irrational and be ashamed of that and try to hide them. Some people feel that they lack will power because they cannot stop their thoughts and rituals. There are different theories about why OCD develops. It can be based on previous experiences, especially during childhood. Your personality type may also be important – perfectionists seem to be more prone to OCD. OCD has been linked to increased activity in certain parts of the brain and some experts think low levels of a brain chemical called serotonin may be involved, although others disagree with this theory. Stress does not cause OCD, but a stressful event such as giving birth, the death of someone close to you or divorce may act as a trigger. What are the treatments for OCD? There are a number of treatments and strategies to help you deal with OCD. The first step in getting treatment is to explain your symptoms to your GP who can then refer you for specialist help. The most effective treatments for OCD usually involve talking treatments – such as counselling, psychotherapy and cognitive behaviour therapy – and medication. As family or a friend, you may feel frustrated and confused by the symptoms of OCD, but you can help a lot by accepting your partner’s, friend’s or relative’s feelings and understanding that this is their way of coping. Negative comments or criticism tend to make OCD worse; a calm, supportive family can help improve the outcome of treatment. Self-help groups can provide help, support and encouragement. When children or young people have OCD, it’s important for parents to work with teachers to be sure that they understand the problem.